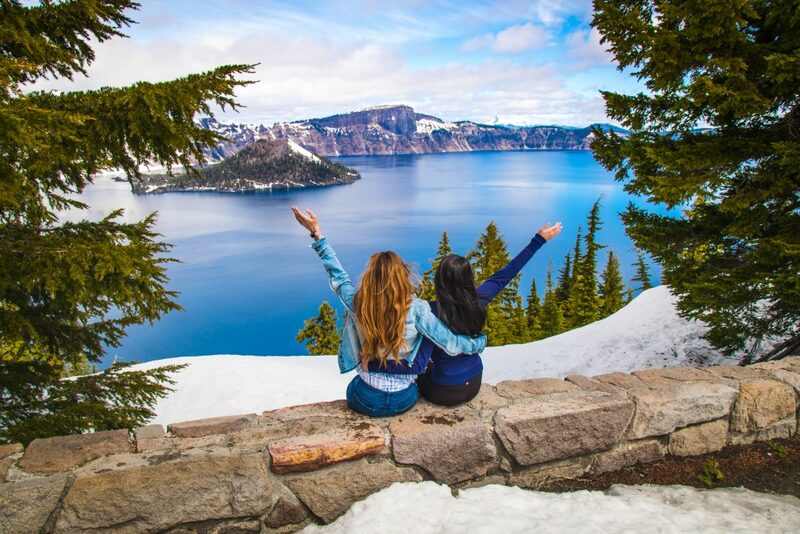 Founder of Trusted Travel Girl, Valerie Joy Wilson, believes that the best adventures lie just off the beaten path and that the only way to make the most of your travel is to experience each city like a local, not a tourist. 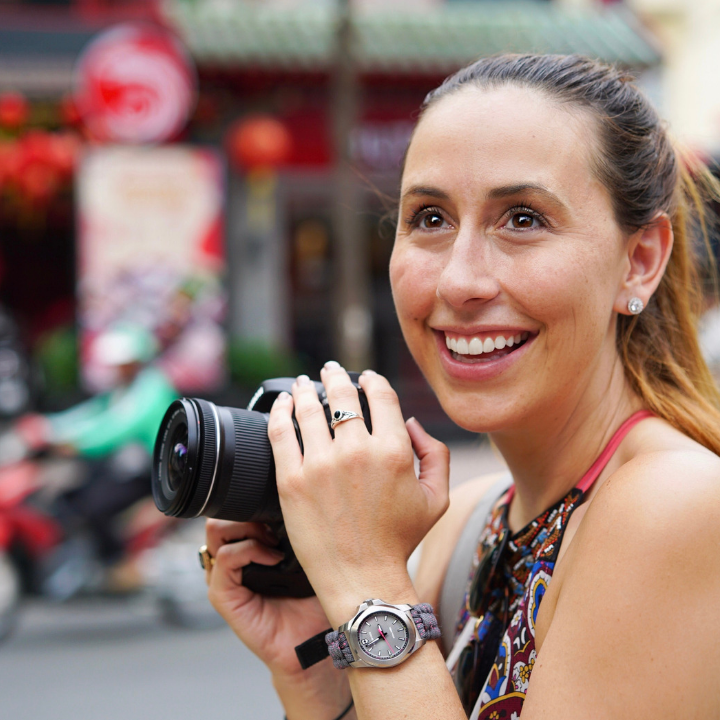 In this exclusive interview with ADPR, Valerie Joy Wilson shares her experience and advice on how travel brands can successfully build authentic relationships with bloggers and influencers. I knew I wanted to do something in travel so I just started writing what I knew about places I had been to. Eventually it grew into what it is today– a full time business, creating travel content all over the world! Roughly 85% of the year, but it varies. Sometimes I won’t be home for 6 weeks at a time, other time’s I’ll be home for a bit. Travel like a local and not like a tourist. Explore as much as you can. Meet locals. Educate yourself. Ask questions. What’s the best travelling tip you’ve been given? What’s the one item that you always pack and why? Bose Noise Cancelling headphones because it helps to cut that noise out of loud talkers and crying babies, and the announcements from the FA’s. Also makes sleeping possible. What’s top of your current bucket list? In our increasingly image led world, what are your tips on taking a great travel photo? Learn the basic rules of photography, like the rule of thirds, and understand leading lines. Also, take your time. Photographers, especially instagrammers look absolutely nuts when taking photos, so if you want to have the best possible photo, you can’t be self conscious and you can’t rush. Editing is also key. It takes a long time to learn lightroom and photoshop, but it’s worth it. Tell us about a successful brand partnership and what made it work so well? I’ve had a lot. But what makes a campaign the most successful is when I’m not micromanaged or told the tone to talk to my audience in. Audiences today are smart, they can tell when something isn’t genuine. The best campaigns are when I’m given the freedom to discover what the story and photos are to share with my audience. Sometimes, when you are writing about a destination, before you depart to the destination, they say “What are you going to write about”? Well, I don’t know, I haven’t been there yet. If I could write about it without going, that would really be an impressive talent. The best advice I have for marketing and PR teams, is to trust who you hired rather than micromanage. Let them tell you what’s important and include suggestions. And never cram so much in that we can’t go back to write, edit, or sleep. That’s a sure way to have a campaign flop. At the end of the day, we know you want to show us everything, but we are human and need rest to deliver the best possible content. What advice do you have for brands looking to work with travel bloggers/influencers? If you aren’t using influencer marketing, you are already lightyears behind. Influencers are here to stay, because they do actually influence. People spend the majority of their day looking at screens. Traditional marketing such as ads via television and billboards are no longer as effective as social media with most demographics. What’s your advice to brands on how to assess a blogger/influencer’s metrics/media packs? It’s difficult. There is no one-size fits all. As influencers, we have good days and bad days when it comes to the algorithms and campaigns. The best way to combat this is with longer-term partnerships. I always advise my clients against “one-off” campaigns. The ROI isn’t as great as it could be with a multi-faceted approach. An audience generally needs several touches before making a purchase. A good indication is always their past collaborations and clients. Have they partnered with legitimate companies? How well do they know their audience and their brand with the information in the media kit? My media kit is 10 pages, it’s broken down into details on demographics, press I receive, and testimonials from brands and tourism boards. Some brands don’t understand why a blogger/influencer may ask for payment as well as kit or a travel experience. What’s your view on this? My view on this is plain and simple. A free trip doesn’t put a roof over my head and food in my mouth. I’m working, it’s not even remotely a vacation. Would you be insulted if I asked you to work for free? My camera equipment, skills, audience I have curated, and time all cost money. You get what you pay for. If you want a professional, you should expect to pay for one. If you want someone who treats it like a vacation, that’s the quality of the content you will receive in return. Hire someone who runs their brand like a business, because it is one. You wouldn’t call a camera crew for a $100,000 commercial and say “We are sending you to this destination to shoot, so you will be working for free”, and you wouldn’t ask your wedding photographer to work for free, so why would you do that with any other professional in a creative industry? What benefits are there for brands to work with bloggers/influencers? It’s no longer the way of the future, it’s the way of “now”. If you aren’t marketing with influencers you are missing the mark and missing the majority of the population under the age of 40. How do you assess what brands that you want to partner with? It has to be brands I genuinely love and believe in! High quality products or services, new technology, something reliable that I can get behind. I also partner with brands that trust me allow me the flexibility with posts. If I’m going on an incredible trip where I can get you amazing content, why wouldn’t you want to wait? Rushing never creates a good scenario. Sometimes I shoot a product in three locations before I send the brand any proofs. It’s never just as easy as take a camera out and click. There’s thought and creativity, lighting and many other factors that help create a great image. Allow your influencers the flexibility to bring their best content to you. Influencers don’t want to post something that’s mediocre, just as much as you don’t want mediocre content. If you like their style, trust them if they need more time to deliver. I always produce content on time, but it’s when I feel rushed or micromanaged that my creativity dies. What’s your advice on pitching a blogger/influencer to work with a brand? Find out why the influencer feels like it’s a good fit for them and their audience. Why do they love the product or service or destination? If you can find out what draws the influencer to the particular brand, you have a pitch on why it’s a great match. For example, if I want to visit a Caribbean island because I love to scuba dive, well there’s a reason why it’s a great fit, as opposed to “I like beaches”. Find someone who has a reason for partnering that includes substance, and a unique POV. Feeling inspired and want to find out more about how you can build effective relationships and campaigns with influencers? Read our On the Horizon case study and read our blog to learn more about the influencer marketing landscape in 2019. If you would like some assistance in creating, managing and influencer campaigns, contact us today for a chat about how we can help.